Scurvy used to be the scourge of the navy, killing sailors on long voyages. Now it's a blight to evolutionary biologists. They just don't know why it exists in humans. After too many months at sea on rations of salt pork and hard tack and rum, sailors began to drop. First they'd break out in red spots, like patches of blood pooling beneath the skin. Then they'd start losing teeth, and their gums would bleed. Finally, they mentally slipped away. 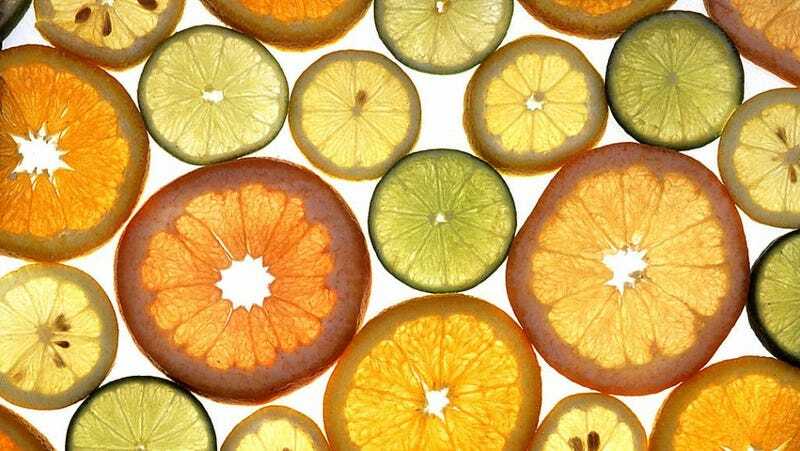 It was a terrible way to die, and there was widespread relief when it was discovered that a little citrus, like limes or lemons, could keep people healthy. For a while, this contented everyone, until scientists tracked down the element that prevented scurvy, vitamin C, and wondered why the disease only seemed to affect humans. There were plenty of animals that ate a diet less varied than eighteenth century sailors, and went right on living. Their bodies manufactured vitamin C. It's only in the primates - gorillas, chimps, humans, and a few types of monkey - that the body stops producing this necessary vitamin. We're not even missing the genetics for it. The gene that allows for the internal production of vitamin C is still there. It just happens to be preceded by some mutations that switch off its expression. The question is, why would that happen? There's no question that we need vitamin C to stay alive. Most of the animals that have lost their ability to make the vitamin can ingest enough to get by, but genetic mutations have to be advantageous to become dominant in multiple species. What advantages could that one mutation bring to the table to have propagated itself so successfully? This is an ongoing question, and no one can entirely answer it, but there are a few ideas. One of the byproducts of the making of vitamin C is hydrogen peroxide. Hydrogen peroxide often donates one of its oxygen atoms to the molecules around it, which is why it bubbles when it comes into contact with blood. This gift of oxygen can change the molecules around, often killing the cell they occupy. It's is why people sometimes dab hydrogen peroxide on cuts - killing the bacteria in the cut. It's also why exposure to hydrogen peroxide should generally be avoided. Although the body has many processes that produce hydrogen peroxide, it can kill human cells as well as it kills bacteria. This might be why we need our citrus. Perhaps the certainty of minimizing internal hydrogen peroxide makes up for the possibility of one day developing scurvy. Or perhaps, despite all the evidence, evolution is wrong and natural selection doesn't occur. You choose.